Chin Ting Chan has received numerous national and international awards from the Association for the Promotion of New Music, newEar Contemporary Chamber Ensemble, and the Interdisciplinary Festival for Music and Sound Art (Vienna). 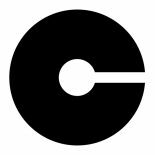 Chan actively pursues performance opportunities in world-renowned venues, including the Darmstadt State Theatre, the Echoraum in Vienna, and the Seoul Arts Center; which have resulted in rewarding interactions with artists such as eighth blackbird, S.E.M. Ensemble, and Zeitgeist. In 2013, he was selected for collaboration with the Institut de Recherche et Coordination Acoustique/Musique (IRCAM). Chan served on the board of directors of the Kansas City Electronic Music Alliance (KcEMA), and as studio manager of the Intermedia Music Production and Computer Technology Center at the University of Missouri Kansas City.